We can still think our own thoughts, like you said. 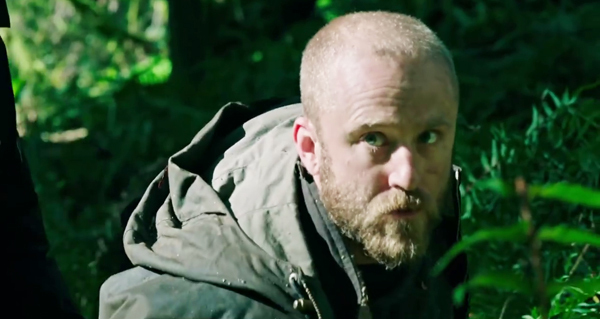 (SPOILERS) It would be easy to assume director Debra Granik has a thing for the wilds. 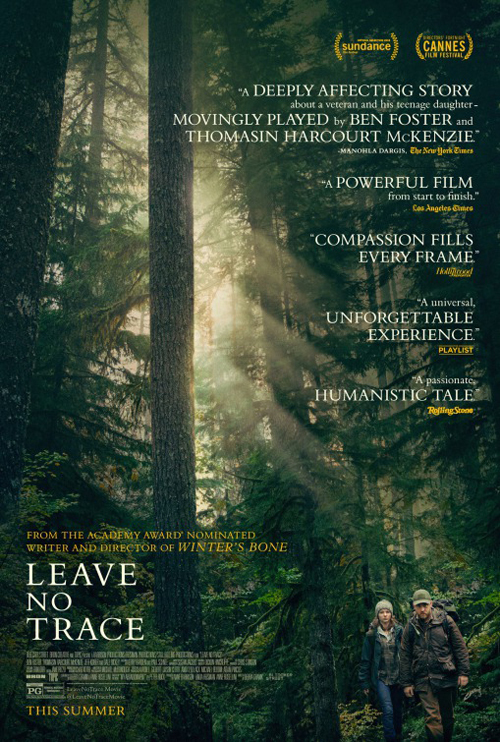 Leave No Trace, adapted from Peter Rock's 2010 novel My Abandonment and set largely in the woods of Oregon and Washington, is her follow-up feature – doc Stray Dog came in between – to Best Picture Oscar nominated Winter's Bone. 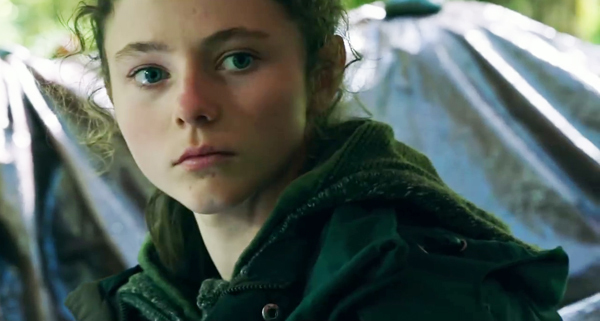 That was set in the Ozarks, and of course, brought Jennifer Lawrence into the limelight; this may not immediately do the same for Thomasin McKenzie, as hers is a less overt, attention-grabbing role, but she's no less of a discovery. Also thematically linking the two pictures is the fractured family unit. Here, PTSD suffering veteran Will (Ben Foster, who seems to be perpetually underrated, even in high profile fare like Hell or High Water) can't function in socially demanding environments, opting for the isolation of an Oregon public park with daughter Tom (McKenzie) until they are arrested and passed on to social services. Granik had already explored PTSD with Stray Dog, and what impresses most here is the restraint of Will’s characterisation. There's no – for want of a better way of putting it – acting out. Will may have issues he can't simply move past ("The same thing that's wrong with you isn't wrong with me" Tom tells him; "I know" he replies) but he's high-functioning and temperate in his responses; he knows his limits, and doesn't flip out, even if he's prone to making the wrong choices as a stress response. The gap between Tom's needs and Will's is allowed to develop gradually and subtly, and he's allowed to recognise this without, ultimately, pulling the traditional parental pose of demanding his way or else; the final scene between the two is all the more affecting for that ("I know you would stay if you could" she tells him, as she heads back to the mobile home community). Restrained might be the best way to describe Granik's approach all round. She isn't interested in demonising, and while she makes it clear there's an absurdity in making it illegal to live on public land, Dana Millican's social worker is shown to want only the best for both of them; no one we meet is characterised as a villain (pointedly, Dale Dickey, fearsome in Winter's Bone, is the empathic matriarch here). 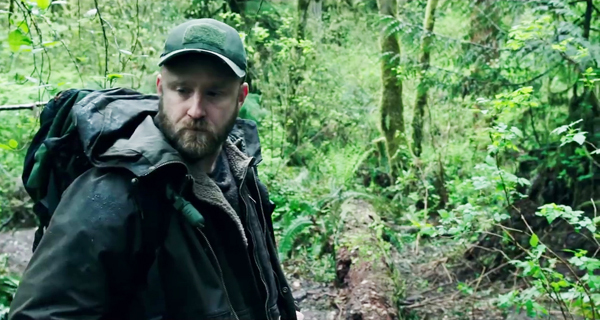 One is inevitably put in mind of other off the grid movies like Into the Wild and Captain Fantastic, but while the first descended into existential bleakness and the second embraced something more cartoonish, Leave No Trace's starting point isn't a lifestyle choice; Will lives that way because he has to. Still, similar generational gaps develop in both this and Fantastic, the difference being that they're dealt with here with much more sensitivity and an absence of melodramatic flourish. 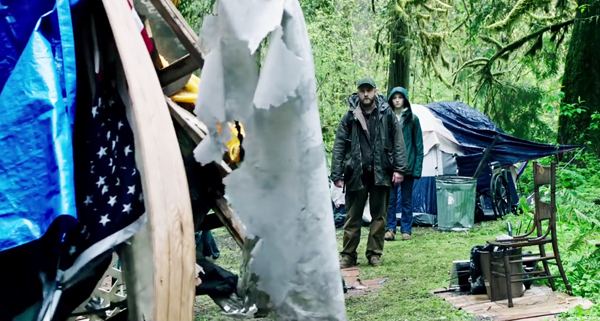 Leave No Trace looks as if it will receive a good deal of awards season attention, and deservedly so (certainly compared to several pictures I've seen recently being showered with undue praise). Foster and McKenzie stand out, but you're aware of a sure, steady directorial eye throughout. It's a film of subtle restraint, with all the greater impact for that.